Located on Lake Geneva's South East Shore, The Boat House Bar and Grill is a purveyor of exceptional American dining. The Boat House Bar & Grill opened in May 2017 and is located next to Big Foot Beach on Lake Geneva's south east shore. Since then, The Boat House Bar & Grill has been serving quality interpretations of classic American dishes. The Boat House Bar & Grill interior reflects the sophisticated sensibilities of the surrounding area while also paying tribute to Lake Geneva's storied past. The restaurant offers the choice to take in the gorgeous view of Buttons Bay from our spacious deck, or cozy up to the wrap-around bar with a delicious hand-crafted cocktail to watch the game. With access from the water and ample parking, there is no better spot to grab a bite on Lake Geneva. Next to Big Foot Beach! Fresh Roma's, Garlic, Herbs, Olive Oil. Served with Cucumber, Carrot, Celery & Pita. 6 Dry Rubbed Wings, Smoked in House, Fried & Tossed in Hot or Mild Buffalo, BBQ or Lemon Pepper. Make any salad a wrap. Add Chicken $5, Shrimp $8, Steak $10 or Salmon $10. 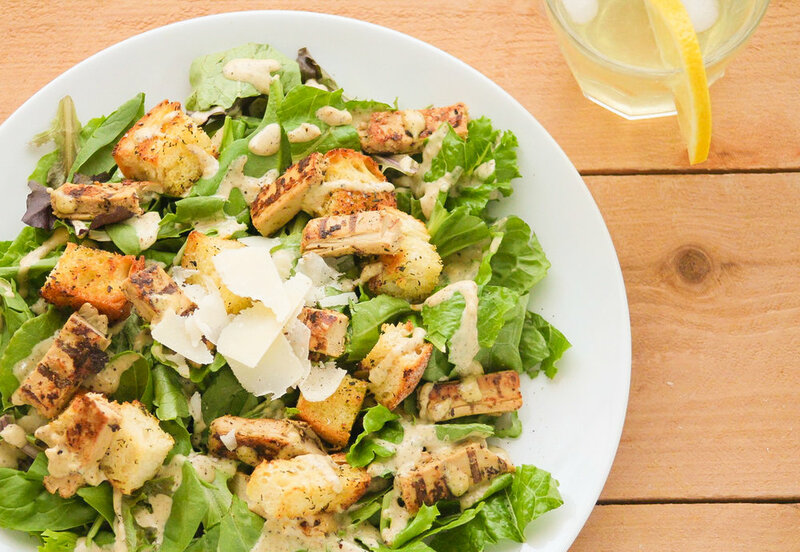 Your choice of: Ranch, Blue Cheese, Caesar, Italian, 1000 Island, French, Balsamic or Blood Orange Vinaigrette. Spring Mix, Cucumber, Cherry Tomato, Spun Carrot, Red Onion, House Crouton. Choose a Dressing. Romaine, Shaved Parmesan, House Crouton, Cherry Tomato & Caesar Dressing. Fresh Mozzarella, Tomato, Basil, Oil & Balsamic Reduction. Citrus Roasted Beets, Goat Cheese, Sunflower Seeds, Spring Greens & Blood-Orange Vinaigrette. 1/2 Lb Fresh Angus, Buttered Brioche Bun, LTOP, Fries. Substitute Cole Slaw, Potato Salad or Fruit for $2 More. Side Salad for $3 More. Upgrade to a GrassFed Burger for $3 More. Fried or Grilled Chicken Breast topped with marinara, mozzarella and giardiniera on a brioche bun. Tall Stack of Ham (Or Turkey), Your choice of Cheese. Thin Beef Round, Melted Mozzarella, Toasted Hoagie. Au Jus & Giardiniera on the Side. Choose your sauce: Red, BBQ, Oil, Pesto. Choose your Toppings: Pineapple, Giardiniera, Onions, Green Peppers, Mushrooms, Tomatoes, Garlic, Black Olives, Pepperoni, Sausage, Ham, Bacon, Chicken.